Despite its name, Iceland’s topography isn’t actually all ice (though, yes, the default temperature is still brrr). Its capital, Reykajvik is a small-scale cosmopolitan city with a lively art and music scene and an even livelier nightlife. 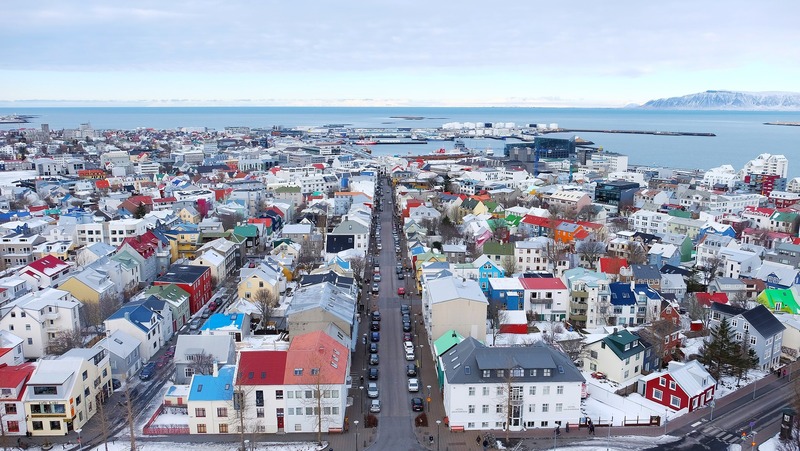 Once you’ve had your fill of contemporary Icelandic culture, you and your beau can relax at the nearby Secret Lagoon or take tour to see some mostly dormant volcanoes (good luck asking for directions to Eyjafjallajökull). Known for its eternally gray disposition, this dynamic city makes up for its abysmal weather inclination with an abundance of indoor attractions. 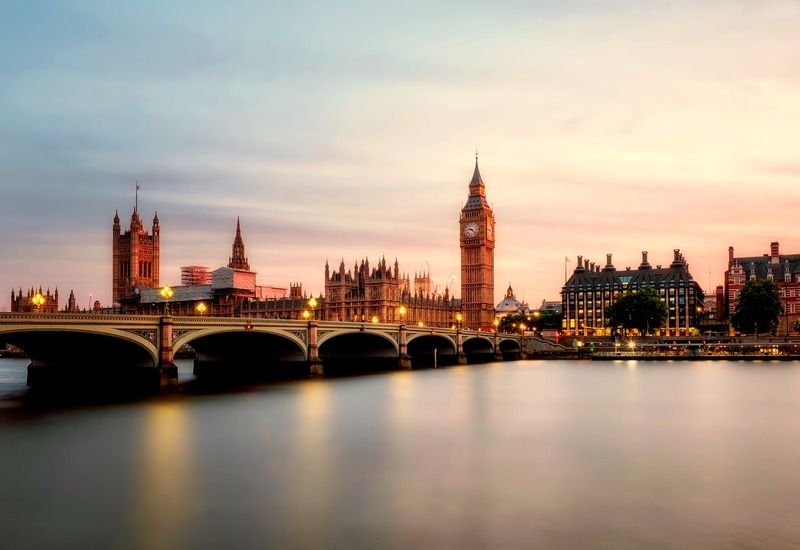 Foodies can indulge in High Tea at Westminster Abbey and sample gourmet goodies at Borough Market; history buffs can tour the British Museum, Tower of London and Churchill War Rooms all in one day; literature-lovers can seek out King’s Cross Station (Harry Potter fans will understand) and Shakespeare’s Globe; and romantics can rent a private pod aboard the London Eye and catch a show in the city’s theater district. Plus, must-visit spots like Stonehenge, Edinburgh, Paris and Amsterdam are just a day’s trip away! If the thought of lazing the days away on the beach bores you to tears, consider hitting the slopes instead. 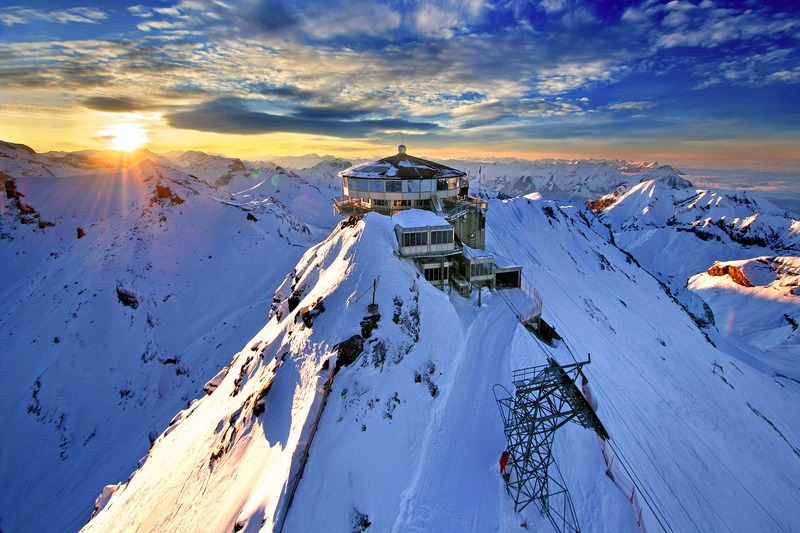 The Swiss Alps offers everything from night-skiing and sledging to breathtaking tours by boat, train or helicopter. Or, if you’re really looking for a more unique experience, why not let a cow (yes, you read that right) do all the trekking for you? Want to stay states-side but still get away from it all? Renting yourself a secluded Alaskan cabin may just be the answer. You can Air B&B it and perhaps try your hand at ice-fishing, or you can go the all-inclusive route and check out activities like Mt. McKinley flightseeing, rafting expeditions, ATV Tours, winter dog sled rides and more. Side note: If you’re interested in catching the Northern Lights, February is prime-viewing season in Alaska. Hailed as one of the most beautiful natural wonders of the world, the Northern Lights are light-years ahead of your traditional romantic stargazing ventures. 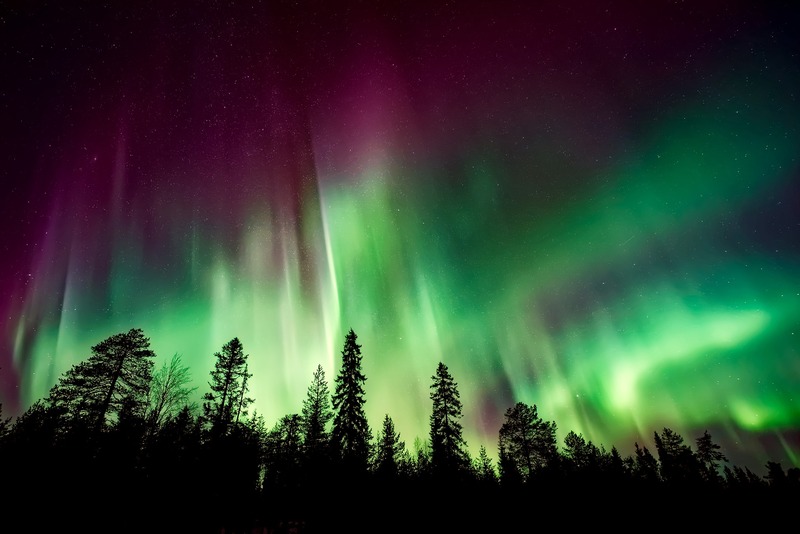 If you don’t mind a little bit of country-hopping, the Magnetic North Travel has put together a fantastic trip itinerary that will prove essential to your Aurora Borealis hunt. 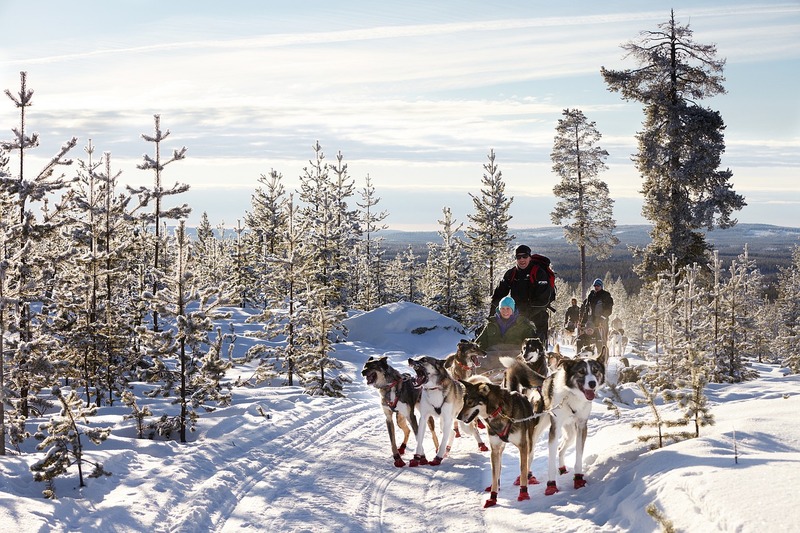 Each pit stop has its perks too, with an Igloo Snow Hotel and dog-sledding opportunities in Norway, an ICEHOTEL and a Treehotel (think suspended-canopy bedding) in Sweden, and a cozy wooden teppee stay in Finland. 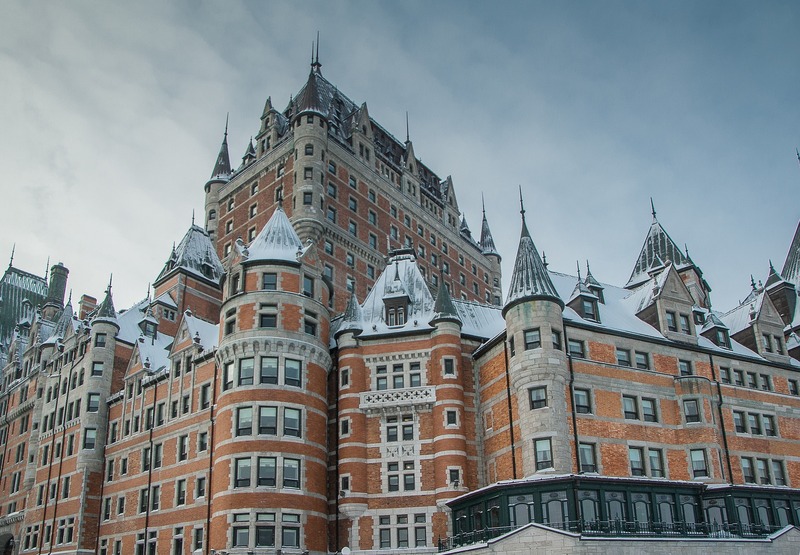 Canada is a large country with plenty to offer, but for honeymooning purposes, we’re partial to Quebec. What the city lacks in physical warmth, it makes up for in charm (relying heavily on its French roots and culture) with quaint, shop-lined streets and wintry activities like ice skating, tobogganing and snowmobiling. Plus, the beautifully ornate architecture makes for an unparalleled romantic backdrop. While Japan may not exactly seem like it belongs on this list with its many seaside villages, the northern islands are chock-full of wintry attractions like natural hot springs, snow festivals and ski resorts. 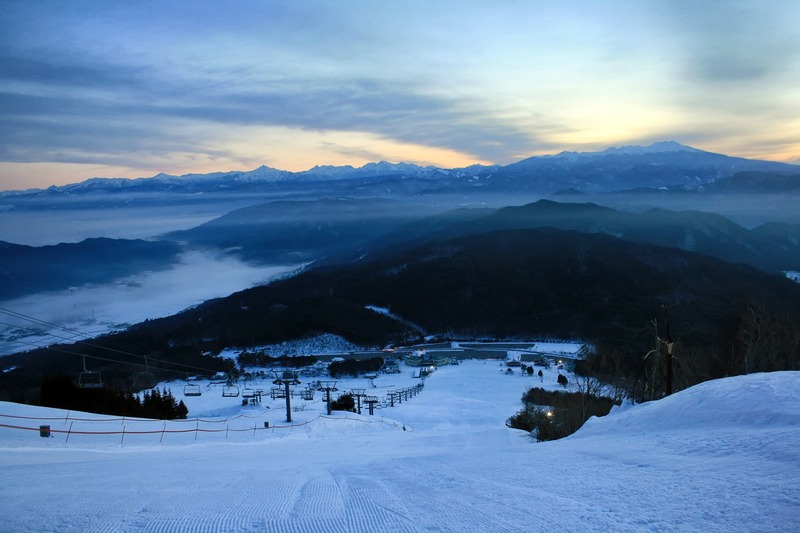 Hakuba Valley, located at the base of the Northern Alps of Nagano Prefecture, is one of Japan’s most popular skiing and snowboarding destinations, having hosted the 1998 Winter Olympics.